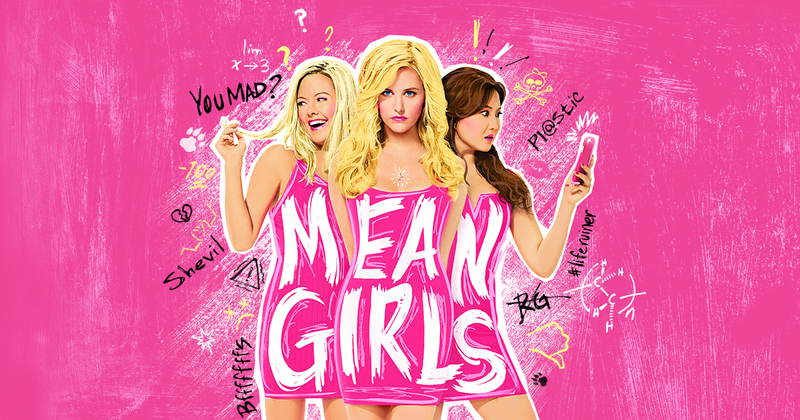 Based on the 2004 movie starring Lindsay Lohan and Rachel McAdams, the new Broadway musical, Mean Girls opened this past May. The show was nominated for 12 Tonys, but unfortunately took home none. While this show definitely isn’t Tony material, with its mainly bubblegum pop soundtrack, it is certainly a blast to listen to. During my first listen, I didn’t think much of it. It took some liberties with the source material, which is completely unnecessary because the original movie absolute gold and should be required viewing for anyone in middle school. Part of it’s charm now is the dated slang and clothes, which the musical, set in the present day, removed. The music was alright the first listen, but the actors characterized their roles perfectly, with the exception of Erika Henningsen’s take on Cady. The woman has talent oozing from her pores, but she played her a bit too quirky and enthusiastic rather than awkward or shy like in the movie but that has nothing to do with her acting ability, it’s the writing. In songs like “It Roars” and “Stupid With Love”, you have to be enthusiastic, those songs are supposed to be fun and cheesy. One character change/addition that I really enjoyed was what they did with Ashley Park’s version of Gretchen. In the movie, she’s simply just one of the Plastics, a loyal drone to the Queen Bee, Regina George. However, Park earned a Tony nomination for her performance, so you can imagine how she made her character far more three dimensional. Her character arc revolves around the issues that being friends with someone as cruel as Regina, mainly the self-esteem problems that stem from her mockery. “What’s Wrong With Me?” could make any girl who’s ever struggled with self image tear up at least a little bit, including yours truly. Barrett Wilbert Weed as Janis Ian. The iconic actress known for playing Veronica in the off-broadway production of Heathers took on the most perfectly type-casted role in all of history. The fiercely snubbed actress somehow did not receive a Tony nomination for her performance, which is unfair in every sense of the word. “Revenge Party” and “Someone Gets Hurt (Reprise)” are masterpieces. Both of these songs fit Janis’ style exceptionally, shifting into heavier music than the rest of the soundtrack. Then there’s the star everyone everyone expected to blow everyone away, Taylor Louderman as the eternal Spring Fling Queen herself, Regina George. Every single one of her songs carry an energy not unlike a classic Disney villain, just with more edge and badassery. “World Burn” and “Someone Gets Hurt” are powerful anthems for the seductively sinister or just those of us that like background music that just makes us feel like we’re doing something cool for when we walk to class in silence. Overall, the show isn’t the next Les Miserables or Rent, but it’s definitely just as fun to belt to an empty house whenever you’re home alone, especially when playing the bad guy can feel so good as it does with this musical.